It is hard to believe, but the Porsche 911 exists despite Porsche’s own attempts to eliminate and replace their beloved icon. This rear engine, 2+2 coupe has defied attempts (type 951 and 928) to terminate its allegedly dated concept only to be re-invented in superior form and bask in a renewed wave of enthusiasm. The 911 brand is so compelling to consumers that even cars that are not 911’s (Types 930, 964, 993, 996, 997) have been badged as such since 1990. Such is the influence of a model and a brand within Porsche that as the vehicle made vast technical leaps, even wholly re-invented it remains a 911. 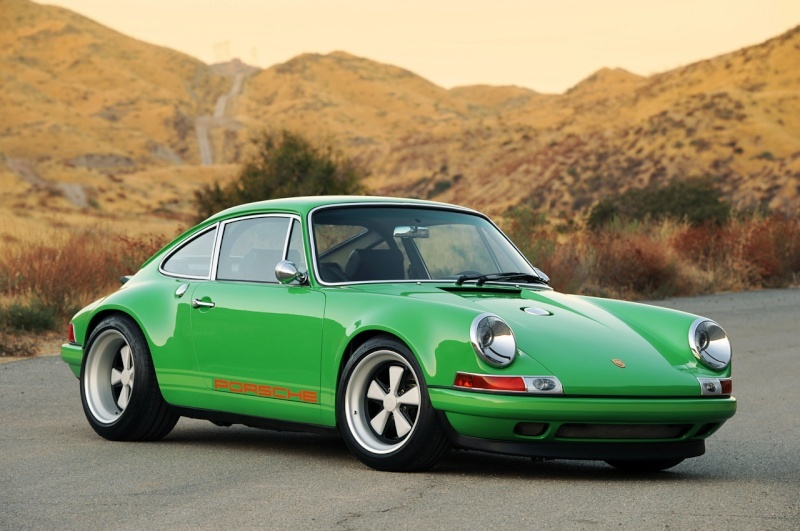 The original 911, with its air/oil cooled engine was built from 1964 to 1989. This model was succeeded by two much more evolved 911’s that were still air/oil cooled; the type 964 and 993. The 964 and 993 are still lauded for their own technical brilliance, but the vehicles gained weight and complexity addressing safety, (airbags) emissions, and feature/ options concerns. One could argue that the last air/oil cooled 911’s, though brilliant, paid a price for their sophistication. However, 1998 brought the first 911 to rely on water cooling for the engine, and it introduced the first all-new and larger body shell to the model since 1964. 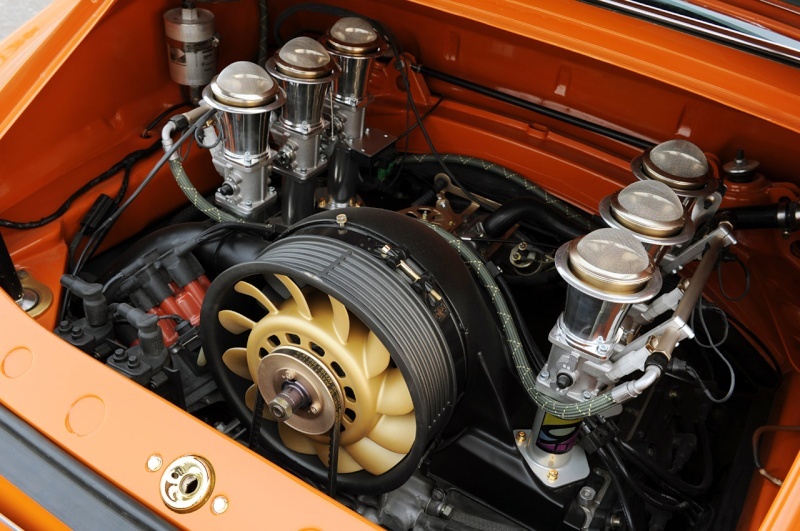 In addition, it was the first 911 to feature an engine with four valves per cylinder which would help it meet power demands and emissions requirements. While the early 911’s were beloved for their unique sound, a baritone growl that was a product of the engine noise itself which could easily escape through the thinner castings and cylinder walls (not surrounded by water) and projected by the fan atop the motor. In the interest of compliance, performance, and evolution both sound effects were eliminated. After surviving 35 years, this integral piece of the 911’s character had been severed from the car’s persona. Nevertheless, a rational person can admit that the advances made in vehicle design since 1963 have ushered in improved powertrain, unibody, and suspension technologies yielding a vehicle with greater overall capability. But have the evolved water-cooled 911’s proven more enjoyable? Is the drive more fulfilling? What of the magic behind the wheel? It is this fulfillment that is at the core of the original driver-focused 911 concept, and wholly recaptured, yet vastly enhanced by the vision of Singer Vehicle Design. The Singer 911 is no mere imitation, clone or retro-hot rod, but a re-interpretation and rebirth of the early performance-focused 911’s. The new vehicle is the result of a fusion between the purity of the original 911 and modern materials, design, and updated technologies, and aftermarket experience into a unique sports car that recaptures the essence of the early 911’s golden age. The Singer 911 capitalizes on the 40 years of solutions and enhancements that have resulted from the racing aftermarket’s embracing the original 911. Borrowing the best elements from the air/oil cooled 911’s long production span such as the “chic” of the long hood pre-’74 race specials, and the engineering durability of the later cars from the 80’s and 90’s, Singer Vehicle Design capitalizes on the vast know how and evolutionary advances the original 911 has enjoyed. The experience offered by the new Singer 911 is a passionate celebration of the history making, iconic 911, and creates an enhanced sportscar that honors the original 911’s soul. Beginning with any longer wheelbase 911 (1969 to 1989) donor car, the Singer 911 is stripped to its shell to begin reinvention. The reincarnation retains the original wheelbase, the A-pillar position, the roofline, suspension mounting and transaxle mounting points. Everything else is restored, reimagined and vastly improved for performance and expression. To optimize suspension performance add rigidity to the unibody, the 911 donor car’s structure has been thoroughly reinforced with a labor intensive stitch welding procedure and the addition of a lightweight integral backbone structure that helps further improve the chassis torsional rigidity. A developmental carbon-fiber second skin further aids this rigidity. The benefits of such measures to ride and handling given the improvements in unibody’s resistance to twisting are vast, as the suspension is converted from torsion bars to the Macpherson strut and Carrera SC rear trailing arm with coilover set-up seen on vintage racing 911’s. Moton dampers with remote oil reservoirs and Eibach springs are used at all four corners and offer multiple settings for ride and handling that the steel shell can now fully exploit. The Singer 911 will also benefit from extensive use of Smart Racing suspension products, such as multi-adjustable anti-roll bars, suspension bushing that help maintain correct geometry. A Jerry Woods Enterprises electric/hydraulic power steering system is fitted to the Singer 911 that maintains the vital 911steering feel and feedback while helping quicken the steering reactions as compared to the original ZF rack and pinion. The racing 911’s were famous for their braking ability and making up distance on the competition in the corners. The Singer 911 is equipped with competition-proven Brembo calipers (4-pot) and rotors that are derived from the 917 and 930 models. The brakes will be peeking out from behind period-evoking Zuffenhaus, lightweight, five-spoke, three-piece forged aluminum wheels. The 17 x 9-inch front wheels are wrapped in sticky, modern Michelin Pilot Sport Cup tires measuring 225/45/17 and the rear 17 x 11-inch wheel wears 275/40/17 rubber. The Singer 911 utilizes the most evolved air/oil cooled 911 engine from the 993. However, the goal with the stock 3.6-liter engine was to develop it into the most modern rendering of the air/ oil cooled engine concept. With the help of U.K.-based, Ninemeister, masterminded by engineer, Colin Belton, and constructed in San Francisco by famed engine builder Jerry Woods Enterprises, the stock 3.6-liter engine is rebuilt to displace 3.82 liters. The engine has been recreated with premium components successfully developed and proven through Ninemeister’s racing exploits. The Singer 911’s engine achieves its displacement with Ninemeister 103mm pistons and cylinders, the 76.4mm crankshaft of the 997 GT3, and the 132mm lightweight titanium connecting rods. The large bore, short stroke combination can spin to 8000 rpm, but offers a broad, flexible torque curve. The key to the power are the highly developed Ninemeister billet aluminum heads that allows this 12-valve engine to compete with the power of water-cooled 24-valve engines found in the latest version of the GT3. A completely re-engineered component the billet aluminum Ninemeister heads are stronger, more resistant to extreme heat, and feature the latest thinking in port design to vastly improve the breathing and output of these motors. A Ninemeister valvetrain with valves, springs, and cam profiles have been designed to maximize the cylinder heads port flow capabilities and are a vital piece of the combination. Ninemeister’s individual throttle body induction provides maximum tunable power to each cylinder with eye-popping throttle response, and most importantly perhaps, the sweetest 911 exhaust growl imaginable. More importantly, the engine will be managed by an advanced Motec M800 ECU that also adds launch control, traction control, data logging capability -- all electronic features never seen on the original 911’s. For customers, the engine will be available in two states of tune -- luxury and touring. Singer will have a tune producing about 360hp with a broad torque curve. For higher performance, a more track focused state of tune offers 425 hp and 340 lbs. ft. of torque. A 997 GT3R oil pump moves oil through the Singer 911’s high capacity dry sump system will be improved with an enhanced fan-assisted cooling system. Race-car spec stainless steel braided hose and fittings are used throughout the Singer 911. The bulletproof 3.82-liter engine combination is matched to a nearly indestructible six-speed G50 transaxle that has been revised with a close ratio cogs, and a limited slip differential. A twin plate carbon clutch capable of withstanding 700 lbs. ft. of torque and a lightweight flywheel help transmit engine power to the transmission. 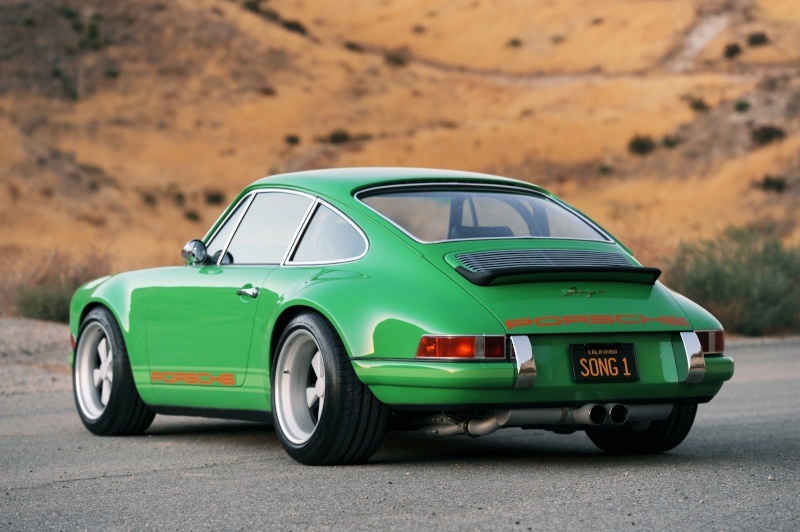 The Singer 911 expels engine fumes through lightweight stainless steel heat exchangers that flow to 100 cell catalytic converters, and a Singer Design stainless steel muffler that helps enhance the motor’s sonorous tone. The Singer’s performance will be scintillating as the vehicle will get down to 2400 lbs. curb weight providing a nimble, connected and thoroughly fulfilling sportscar experience. With a power to weight ratio of 5.6 lbs per horsepower, the 425 hp Sports version explodes from 0 to 60 in 3.9 seconds, 0 to 100mph in 8.5 seconds, and exceeds a top speed of 170 mph. As for the interior, the Singer 911 features an original 911-style instrument cluster with all-new gauges set in a revised dash panel. 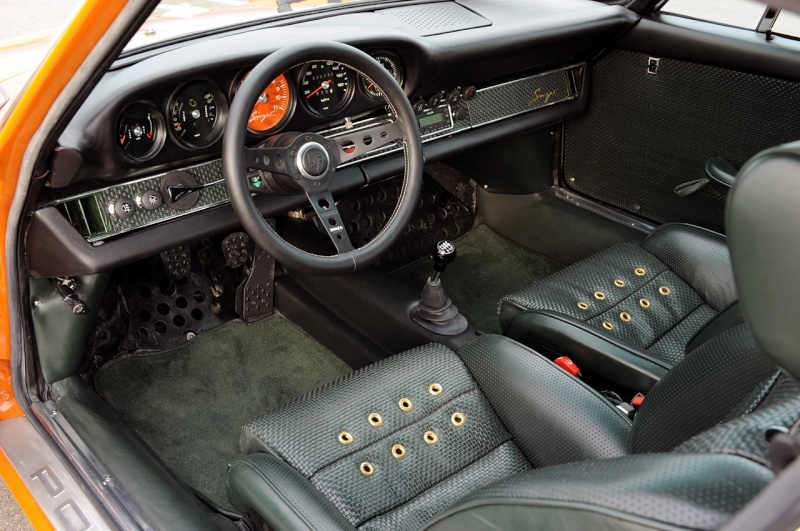 The Singer 911 interior is not carpeted in keeping with the traditional feel of the spartan race-focused 911’s (R, ST, and RSR) but will be trimmed in supple dark racing green leather. Thin, lightweight but effective sound deadening measures controls interior noise while still maintaining the aural persona of the early 911’s. A re-engineered vintage 911 Recaro seat uses structural carbon fiber in addition to offering fully electric operation and premium leather surface covering. Finally, no vintage, performance focused interior would be complete without a MOMO steering wheel and the Singer 911 features a new interpretation of the company’s classic ‘Monza’ wheel. Acknowledging the advances in conveniences missing in the original 911, modern amenities such as a lightweight electric air conditioning system, Garmin Navigation system, ipod interface and even Bluetooth connectivity are also available in the Singer 911. Care is taken to add these features while minimizing any weight penalty by utilizing a lightweight wiring harness for all accessories and engine management. Extensive use of composite materials (carbon fiber) for the entire vehicle exterior will leave the door panels as the only original sheetmetal on the Singer 911. The composite materials form an exterior for the Singer 911 that re-invents while emulating the early 911 RSR and ST’s most prominent feature; the fender flares. These flares dictated the aggressive stance and sense of performance that these early cars conveyed even while standing still. Capitalizing on modern materials technology, the Singer 911 body makes extensive use of carbon fiber panels, and autoclave pre-preg Kevlar honeycomb in the creation of stunning, but very lightweight exterior pieces. The Singer 911 prototype is finished in vintage-appearing Singer Racing Orange. Other colors will be available to customers. In addition to the modern interpretation of the lightweight philosophy, the exterior will be updated with a uniquely designed HID headlamp arrangements that greatly improves exterior lighting. The Singer 911’s aerodynamic performance is improved with a front lip spoiler that reduces front end lift by 12 percent, and a speed sensitive rear spoiler that retracts back into the body (first seen on the 964). inspection the Singer 911 is a very different interpretation of these vintage themes. Beneath that “long hood” emulating skin is the heart of the last air/oil cooled 911(type 993) and a host of the latest technology that places the Singer 911 in a place all its own. The car protects the romance of the original 911 concept but radically modernizes it into an ultimate 911 expression for the enthusiast who can never forget time spent behind the wheel of the car that started life as the 901 Concept. Forty-six years later, the Singer 911 prototype is the ultimate validation of the model that defined a brand, a segment, and became a cultural icon to generations. Singer Vehicle Design is dedicated to the design, engineering and crafting of the world’s most respected high performance cars. Founded in 2009, Singer Vehicle Design is driven by the ingenuity and commitment of the industry’s most respected engineers. By doing so, we have used this opportunity to optimize and enhanceevery detail that has contributed to the 911’s greatness and iconic status. The Singer 911 attempts to channel thespirit of the pure and delicate 1964 original, the race-bred chic of the ‘70s “longhoods”, the ‘80s’ bomb-proofsolidity, and the power and sophistication of the 964/993 series: a jewel-like form that singularly represents andcelebrates the golden air-cooled era of the world’s most important sports car. Singer Vehicle Design is based inLos Angeles, Calif. More information about Singer Vehicle Design is available at www.singervehicledesign.com. Note: Technical specifications are based on the latest information available at the time of printing and are subject to change without notice.